The world has been overrun by terrible monsters and titans - It needs a hero to bring peace to the land, and that hero is you! As our leader, you must grab your blade and vanquish the terror. With the help of other warriors you can summon along the way, collect artifacts to make yourself stronger and destroy the dark forces to bring peace to the land. 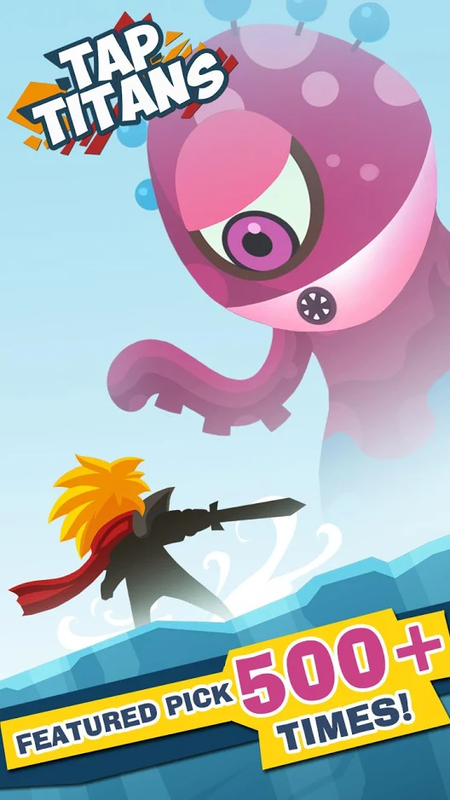 ❖ Tap Titans is 2015's best action adventure game. Tap Titans has already been featured on the Play Store 57 times and by the App Store 450 times! ❖ Join fun tournaments, enjoy beautiful art and a wonderful community of players in 2015’s best RPG. ❖ Tap to attack, tap to slay, tap to adventure, and tap to summon and hire warriors and heroes. Tap to activate devastating battle skills, tap for action, tap for fun and tap to collect mysterious artifacts. Keep tapping away. You are our last hope! ❖ Fight in rapid battles or long strategic RPG games; it’s your choice how to play. 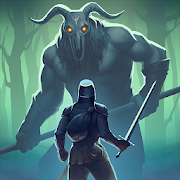 ➤ Tap/Click to defeat 60 unique monsters & titans. ➤ EXPERIENCE 2015’s best action adventure RPG! 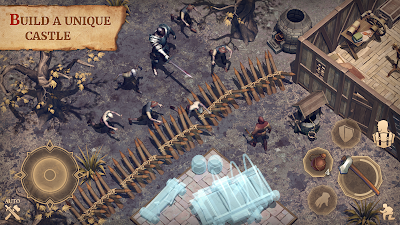 A clan will increase your chances of surviving one more day in this cruel and bitter medieval world. Call your brothers in arms to cut down damned knights and bloodthirsty witches. Set your own rules in the Kingdom. Grim Soul is a free-to-play action MMORPG, but it contains in-game items that can be purchased. You must be at least 13 years of age to download this game and begin your adventures in Grim Soul. Your strategy for survival will determine everything. 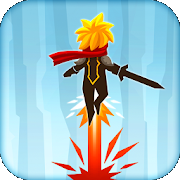 Begin your journey and become a hero in a brutal game for fearless warriors.